Conscious that I’ve not made much headway in my goal to earn £500 from online activities, I had a quick browse through TopCashback* to see if there were any decent offers that didn’t involve me spending a lot of money. In my mind, I couldn’t lose with either of these offers – if I bet my respective £10’s and lost, I would still make £17.30 profit with William Hill and £16.25 profit with Betfair! Yes, I know that this past year, I’ve done a pretty good job at keeping my gambling to a minimum, but TFS will understand why I had to jump on these offers as he’s taken advantage of similar himself (although he’ll note that I’m less adventurous with my bets!). So, I opened my William Hill account and deposited a tenner. I placed a bet on a football match (won’t bore you with the details) and won £3.33. Not much but I didn’t lose any money, ie still had my original stake, which was the main point. I opened my Betfair account and deposited a tenner (or rather, just over a tenner as I read the small print re qualification for cashback). Another couple of bets on football matches and I won £5.65. All in all, including cashback, I made a total profit of £62.53 – not bad for a few minutes’ work! And the £10 deposited in my each of my new accounts? I withdrew it all so I can’t place any more bets! These gambling cash backs were tricky ones to test my willpower but I believe I passed the test, although with me rolling the dice to choose an investment earlier in the month, some may think I haven’t totally gotten rid of my gambling bug and chances are, I never will but I reckon I can keep it under control! More ‘sedate’ cash backs to be earned over the coming month or so, as I’m due to renew my various insurances (home, travel, car and landlord). Anyway, if you choose to do so, please gamble responsibly! 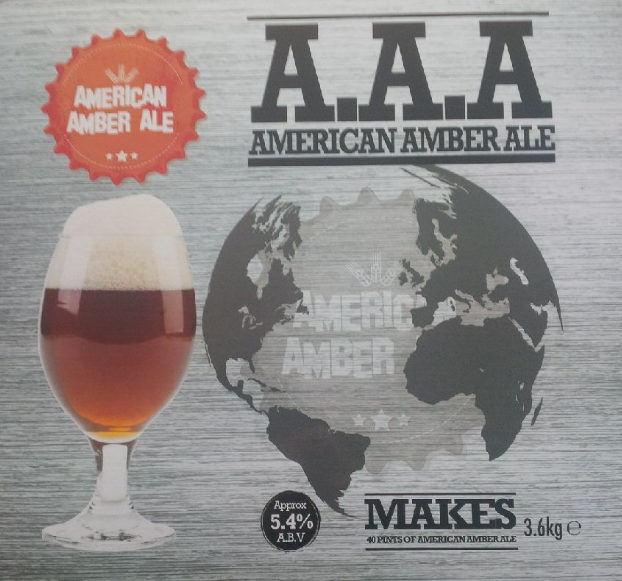 Time for another home brew beer update and this time, I went for Young’s American Amber Ale kit. 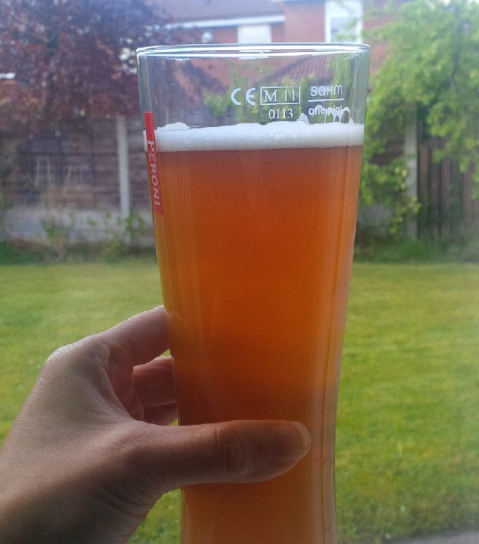 I brewed it at the beginning of April and the brew has finally conditioned to make a very nice hoppy-flavoured beer! When I bought it, the kit cost £28 (down from £32) but it looks like I can get it cheaper now which is good news as I definitely want to do this one again. I brewed just over 21 litres/37 pints, so the cost of this one worked out as £0.67 per bottle or £0.76 per pint! I handed out samples to friends and colleagues last week and received some great feedback (and requests for seconds! ), so this one is a good brew. The beer is still a touch cloudy though not too much – recent bottles have been much clearer than the picture shown, which was taken of the first bottle I opened a few weeks ago. Strength of the beer is about 5.0% ABV, enough to give me a smidgen of a hangover anyway, after I had a few bottles the other Friday night! I think this brew is better than the Woodforde’s Wherry I did and maybe slightly ahead of the St Peter’s Golden Ale. For my next home brew, I think I’m going to try a fruit cider kit. I’m not much of a cider drinker but I got a kit as a Christmas present and well, I may as well make use of it, even though I’d much rather continue brewing beer! Plus my cider-drinking friends have been feeling rather left out compared to my beer-drinking pals – it’s their turn to sample some of my home brew! Update when I’ve gotten round to brewing it! I’m about to head out for my usual trip to Hong Kong to see my folks so won’t be about for a while. I don’t have any posts scheduled so updates will resume upon my return, and I’ll have a big catch up on my blog reading when I’m back. This entry was posted in Cashback, Home Brewing by weenie. Bookmark the permalink. Enjoy your time in Hong Kong! Sounds like the brew was a success. I did not realise St Peter's did beer kits. I must have missed that. The last time I had a St Peter's ale was back at a New Year's Eve party. It was rather nice as it had been a long time since I had last had one. I have never actually "flipped" a cashback thing like that yet. I have received a tidy amount of cashback over time from normal purchasing. I will have a look at that though. Seems you did rather well from it! Good work on 'hacking' those cashback offers. And a good test of your will power as any! Ah two things that are very close to my heart there weenie as you already know. I've just got me some brewing kit stuff for my birthday! So will be attempting my first batch very soon. I have no idea what I'm doing and will be attempting to brew it in a bucket which my friend assures me will be fine but I am predicting disaster! Yes, St Peter's do several kits – there's a Ruby Red Ale and a Stout which I fancy doing at some point. I don't tend to find many cashbacks to flip like these gambling ones but I'll be on the look out for more! Thanks for stopping by! Enjoy your trip to Hong Kong, I am sure it will be awesome. I am a gambler like yourself. I have made lots of profit these past few days gambling on new bingo sites. I find it so easy to get addicted to it so I must limit myself the rest of the month. Only really two bits of advice for your home brewing – make sure that EVERYTHING that touches your brew is disinfected properly. I use Milton tablets (for sterilising babies' bottles) as it's cheap as chips, just makes sure you rinse thoroughly to get rid of the clinical smell. The second bit of advise is be patient – the brew needs time to condition after it's all fermented! Which kit did you get, by the way? I may have a bottle or two available in August so maybe we could do a swap! I may see if M (from There's Value) wants to swap again too! I saw lots of bingo deals when I was looking through TopCashback so may have a go at some of those at some point, to see if I can flip those too. As a rule though, I don't gamble like this online as it is far too addictive! Good luck with those bingo balls! Happy hols weenie and well done with the willpower on those gambling cash backs (I must be very naive but I never even realised that such a thing was possible). Maybe I'll give it a go. I have some Milton tabs so hopefully be ok! Kit I got was this one here (reviews): http://www.thehomebrewforum.co.uk/showthread.php?t=21664 – as you can see it got some good reviews and was about £13 on amazon… I thought why not try it out. Thanks Cerridwen. Definitely worth checking out the cash back deals – I guess they are trying to rely on people not being able to hang onto their cash! Laura's mentioned bingo websites – I might check those out next time! I will definitely have to take a look. I am certainly a fan of the idea of knocking together a good stout, it must be said! No, I will have a look more myself. I am with Quidco and TopCashBack though I use the former more. Very interesting! 1. as per Weenies mention – sterilisation. Post boil it is crucial – you want zero chance of infection once the boiled wort starts to cool. 2. aeration of wort prior to pitching yeast – REALLY SHAKE IT UP! not just a little stir – it wants to be soaked in oxgen. 3. consistent ambient temperature once fermentation starts. yeast hates temp changes. 4. practice using your siphon with some water in a bucket. let gravity be your friend. Like Weenie I think including cleaning chemicals by brews come in around £30 for 20-22litres. it's great! I'm bottling tonight so will give the siphoning practice a go with water, I would never have thought of doing that first, great idea!